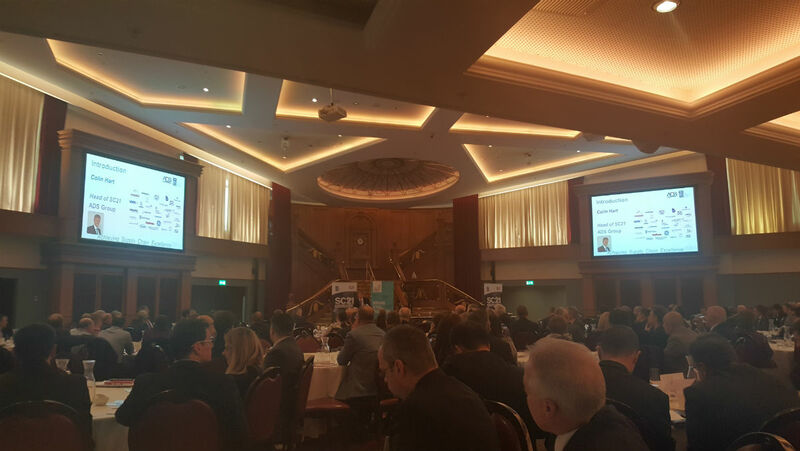 Earlier this year Mann Engineering attended the Annual ADS Conference which was held in the Titanic Exhibition Centre in Belfast. Speakers from Bombardier, Airbus and Rockwell Collins were some of the companies that presented on the day. The conference was held in the amazing Titanic Suite, which includes a replica of the spectacular main stairs of the SS Titanic, which you can see in the background.